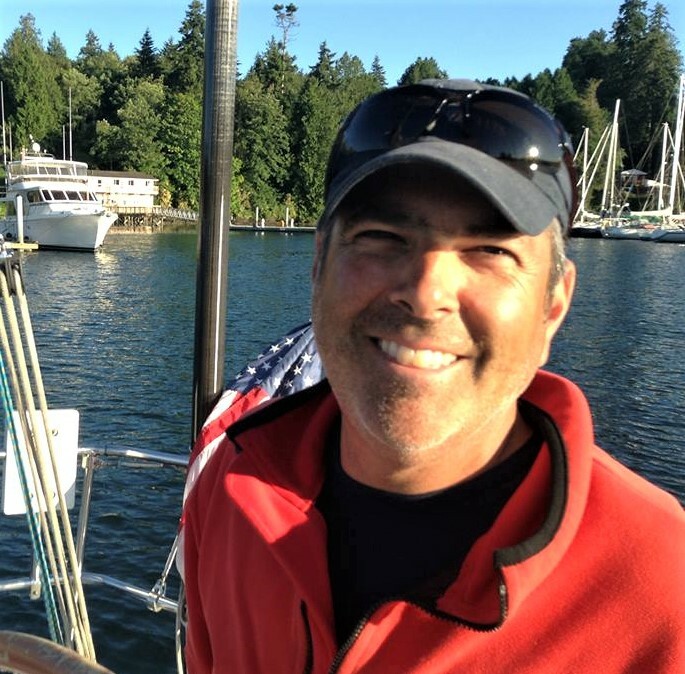 Kirk has 3 years of sales experience selling sail & power boats in the Seattle area. He also has over 30 years of experience in the marine industry. Kirk Peterson grew up in beautiful Vermont and started sailing on Lake Champlain at the age of 11. In the summers he would spend from sun up to sun down sailing the family’s sailing dingy and fishing from their 15’ fishing boat. Kirk now calls the Pacific Northwest his home for over 30 years. During this time, Kirk has been sailing our local waters from Puget Sound to Desolation Sound, Pacific Coast, tricky Columbia River and the BVI. He and his family also enjoy cursing & racing their 37 sailboat out of Seattle. Kirk has experience operating a marine electronics & electrical sales and service business for 20 years. He has certifications with Raymarine, Simrad, Garmin and is a certified ABYC electrical technician. Prior to his installation business Kirk was in Purchasing for 10 years for a marine retailer/wholesaler in Portland, OR. Kirk holds a USCG 100 ton Masters/OUPV Near Coastal license and offers captained sailing charters in his spare time. He has logged many hours aboard power and sail boats. Kirk now continues his passion in the marine industry as a yacht broker at Seattle Yachts. He looks forward to helping clients find the perfect boat power or sail.